We now have the So Clean 2 device, CPAP Pillows, and more available for purchase at our online retail store. CPAP Medical accepts TRICARE® insurance. Our compliance program includes patient follow-up and remote access to efficacy and adherence data. Each patient is setup in the comfort of their own home at their convenience including nights and weekends. In-network military provider for CPAP supplies. 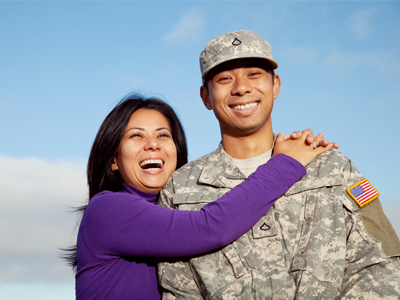 We specialize and focus on sleep therapy for active duty & retired military service members and their families. Our patients receive quarterly replacement supplies direct to their home. As a nationwide provider, PCSing, TDY, and deployed service members will continue to receive replacement supplies sent to their home, TDY, or deployed location. We provide specialized deployment kits for mobilizing military members. 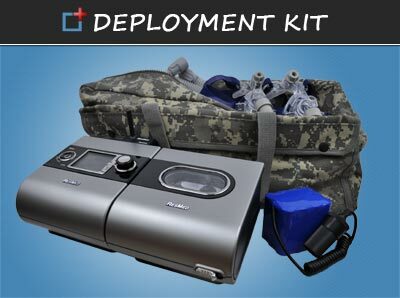 The kits include supplies for duration of deployment/TDY and the lightest portable CPAP battery back-up, if requested. We provide CPAP services and supplies nationwide with our headquarters in Jacksonville, Florida. Click here to load the map.